Biggest QR Code…IN THE WORLD! 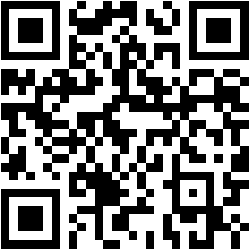 If you scan it with a QR code reader on your tablet or smart phone (scanners are free to download! ), it’ll take you to a website or show you a message. If you see one on NOVA’s campus, give it a try! Unfortunately, you can’t scan this one from the video…I tried. So you’ll just have to take the Kraay’s and Guinness’ word for it. Want to learn more about QR codes? Contact us at the Faculty and Staff Resource Center (anfsrc@nvcc.edu)! This entry was posted in Apps, Fun Stuff and tagged QR code, scan. Bookmark the permalink. Post a comment or leave a trackback: Trackback URL.